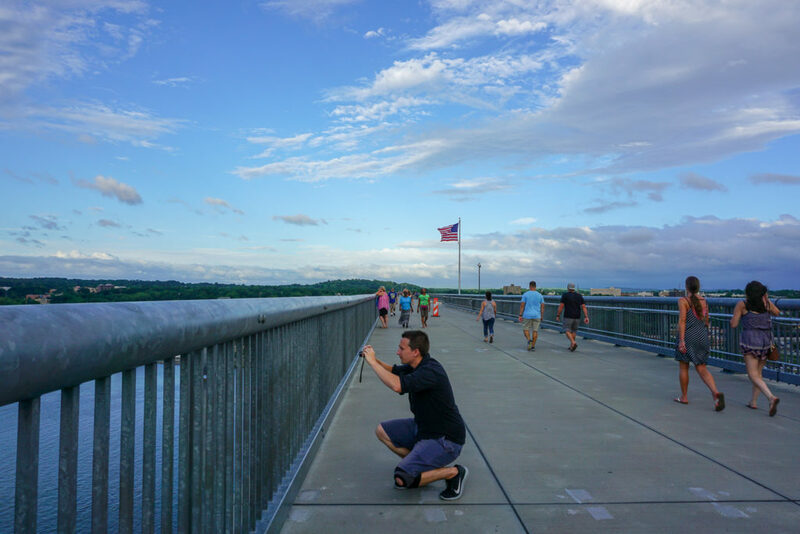 When I asked around for what to do while in Poughkeepsie, people told me over and over to see the Walkway Over the Hudson. This bridge is the world’s longest elevated pedestrian bridge in the world. 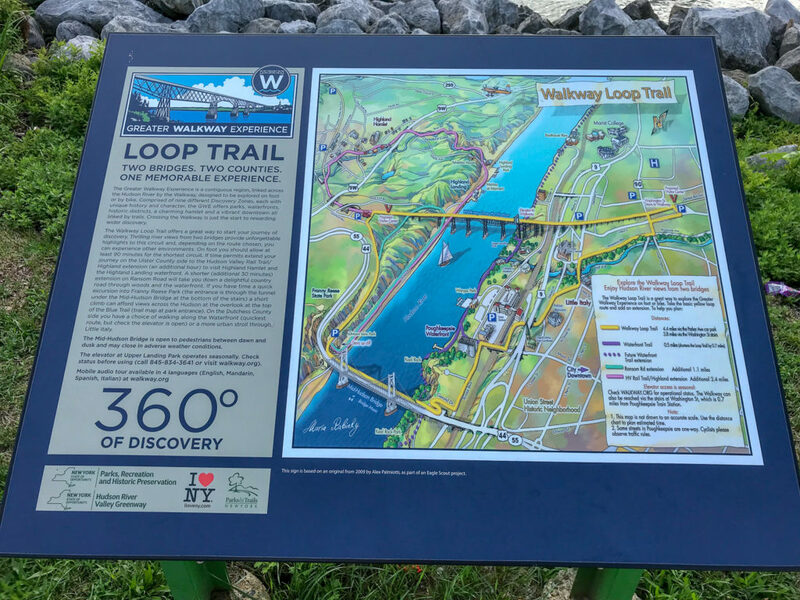 What is now designated as a New York State Historic Park allows visitors to walk right over the Hudson River. From what I had read, views from the bridge extend far into the Hudson Valley and the Catskills. I always value input from others when I’m on the road, but their suggestions only confirmed what I had originally set out to accomplish. 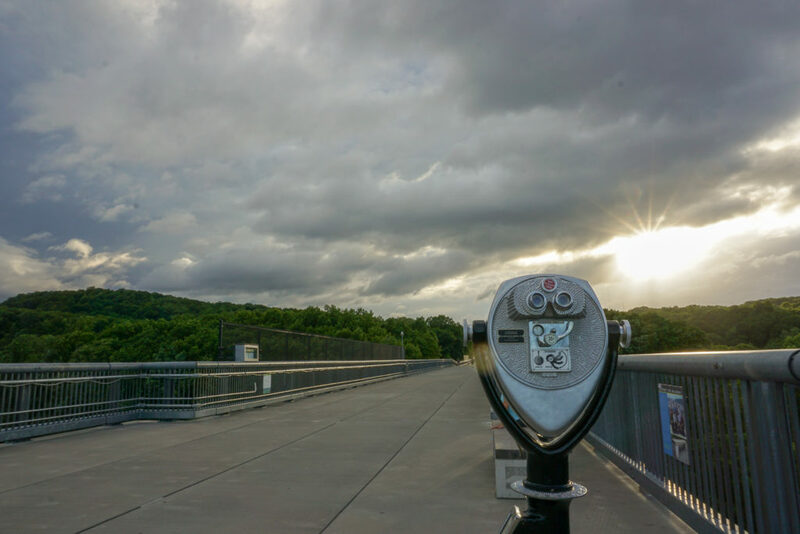 The Walkway Over the Hudson has gotten a lot of news over the years, and it inspired me to want to see it in person. 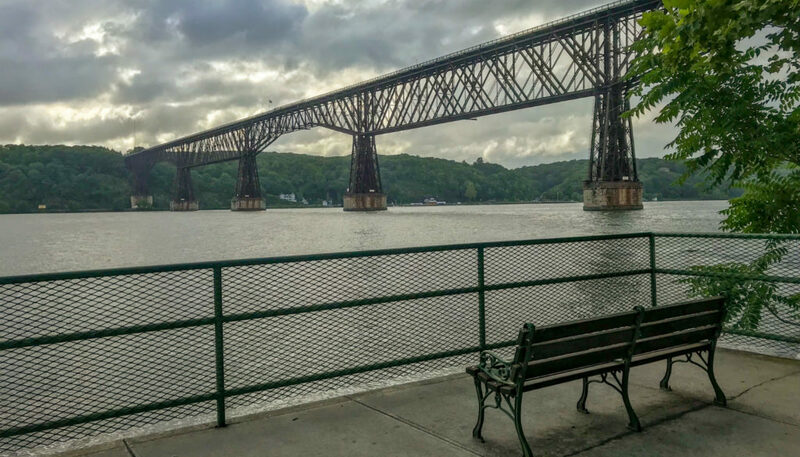 What is Walkway Over the Hudson? 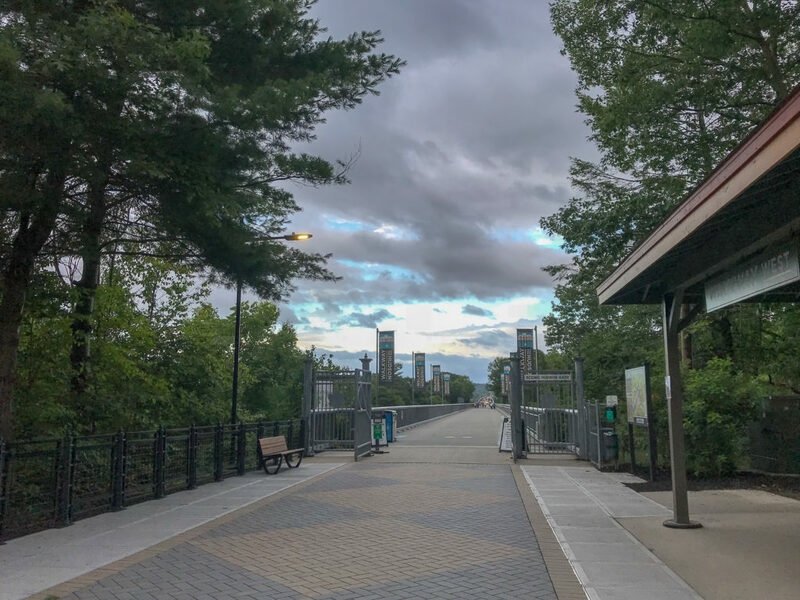 Since opening in 2009, the Walkway Over the Hudson has become one of the top destinations in the Hudson Valley. The railroad-turned-pedestrian-bridge now hosts 500,000 visitors each year. Just walking the 1.28 mile length is fun, but the park has begun to host other activities, too. Charity walks, moonlight strolls, and holiday themed walks add a special flare to just simply walking over the Hudson River. But, they also do movie nights in the park under the bridge, too! It’s safe to say that the Walkway Over the Hudson is a bridge. It’s safe to say that it’s a way to get from one side of the Hudson River to the other. But, what they’ve done here is actually create something much, much bigger than just a walkway. 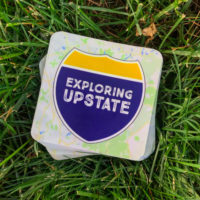 Both Ulster and Dutchess Counties have collaborated to establish a destination that is like no other. 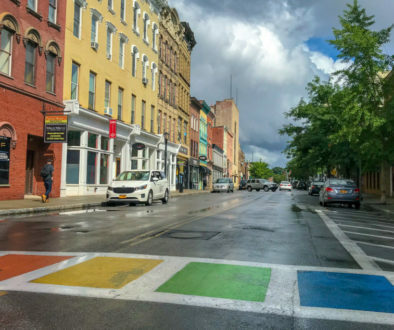 As a result, both Highland and Poughkeepsie have seen a boost in tourism. More importantly, they’ve created a space for locals to exercise and engage in community events. 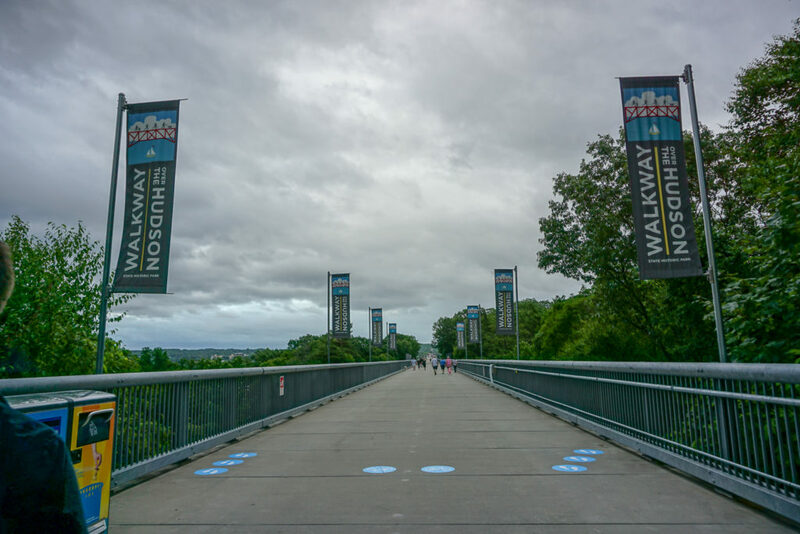 They’ve connected miles and miles of trails that allow visitors to walk and bike far beyond the bridge itself. They’ve created a physical place that is simple, but so iconic that locals feel a kinship to it. 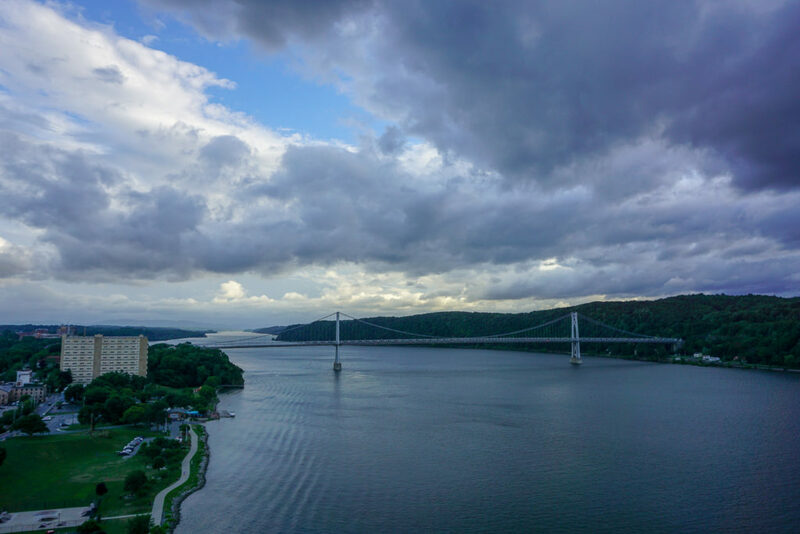 The Walkway Over the Hudson has become part of the region’s identity, and a place to celebrate with local pride. Cities looking to revitalize and regenerate will should get excited about their success. But, at the same time, know that it was a lengthy and super involved process that took many hands. The bridge today is a new version of a very historical bridge that was first opened in 1889. 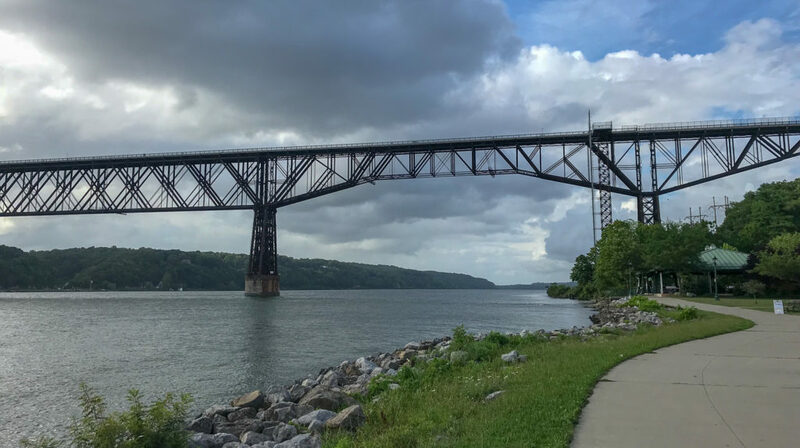 The Poughkeepsie-Highland Railroad Bridge was originally built for both freight and passenger trains seeking to cross the Hudson River. Because it was 212 feet above water level, it was built as a fixed bridge–meaning boats could pass underneath with no interruption to the bridge’s service. For decades, it remained the only fixed bridge between New York City and Albany. 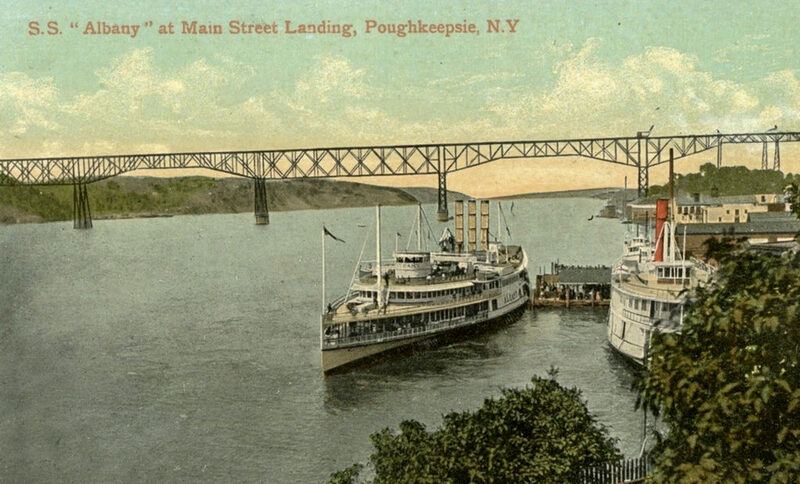 Over time, the Poughkeepsie-Highland Railroad Bridge proved to be one of the region’s most valuable industry assets. As times changed and traffic increased, the bridge received needed upgrades. During World War II, the bridge was so vital to war efforts, that it was guarded 24-7 by soldiers. At that time, the bridge carried about 3,500 rail cars per day! Except, during the 1950’s, industry use for railroads in the New England region declined and that continued for decades. When the bridge became more of a financial liability than asset, Conrail, the company who owned it at the time, attempted to sell it. I don’t have the space here to go in to details, but a fire in 1974, some shady business deals, fake corporations, tax havens, and a lot of resentment all contributed to the bridge’s sad deterioration. 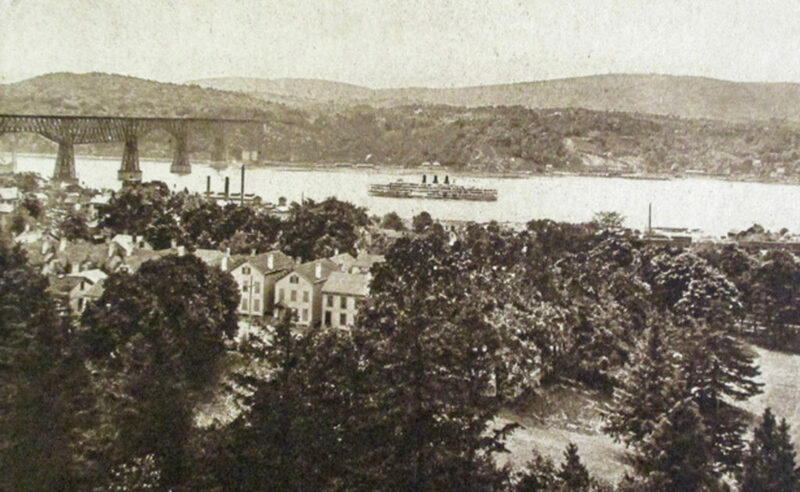 For more, this post from Hudson Valley Magazine tells an in-depth history of the bridge. In the late 90’s, the businessmen who had purchased the bridge had managed to rack up over a combined half million dollars in back taxes. These guys didn’t want the bridge, and no one wanted to buy a bridge that wasn’t being used and had tax liens on it. But, like all good stories that come to an end, a local group of volunteers rallied in the Eleventh Hour. 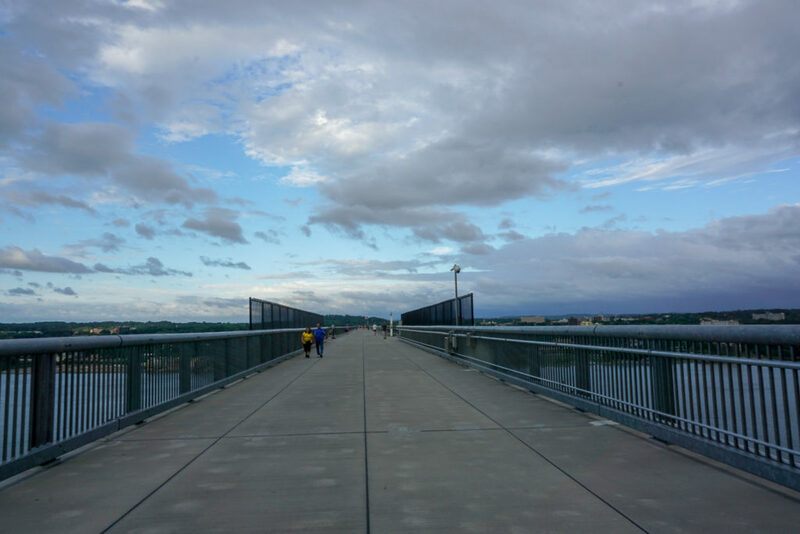 They formed a collective force and called themselves, “Walkway Over the Hudson”. 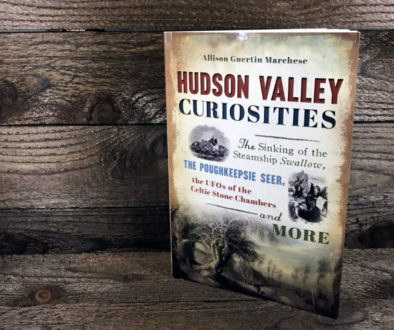 The group joined efforts with both Ulster and Dutchess Counties to make arrangements for a seemingly insurmountable task. Back taxes were forgiven in 1998, and the deed to the bridge was torn from the hands of the dead-beat owners and turned over to the volunteer group. For the next decade, volunteers raised funds to restore the bridge and make it usable for pedestrians. They added the concrete slabs, removed unused power lines, installed chest-high railings, and began to build their dream. Funds were initially raised by locals, but large corporations began to chip in to help make the bridge a reality. 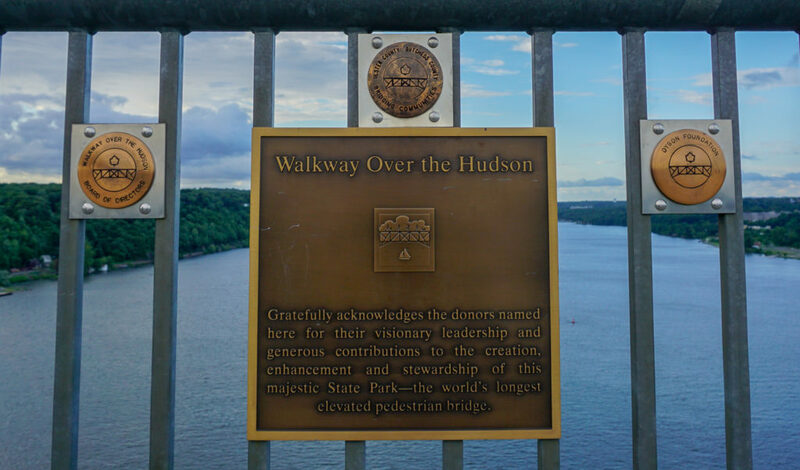 By 2009, the Walkway Over the Hudson group had raised over $30 million dollars to support their community effort. Then on October 3, 2009, the Walkway Over the Hudson officially opened to the public with a huge ceremony celebrating a monumental win for all. 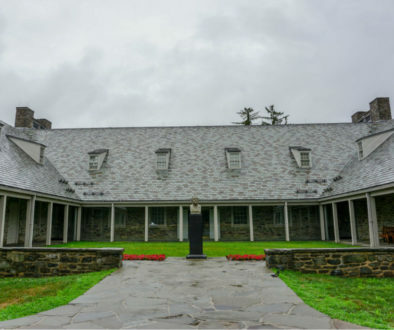 Since then, they’ve continued to build by adding pavilions, parking areas, bathrooms, and even an elevator from the park below to make the walkway fully accessible. On the night of my visit, there were no special activities planned. 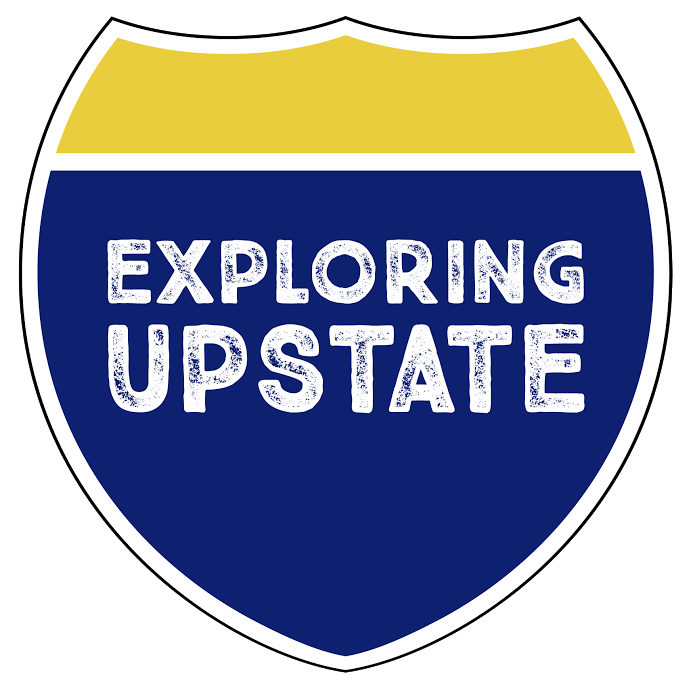 It was a Sunday evening, and I met up with Seth Colegrove of the Empire Explorer. 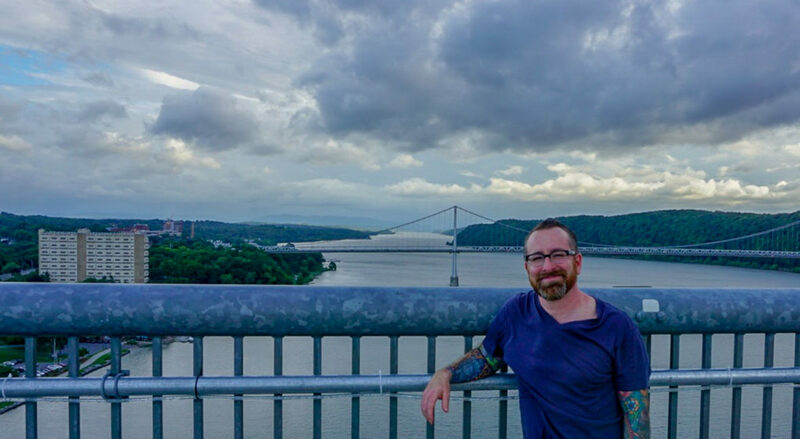 We parked on the Poughkeepsie side, and walked the entire length of the bridge to the west side of the river in Highland. Only a few minutes before had we been standing on the bridge looking at clouds to the south. Now, those clouds were right over head and drenching everything in their path. It’s funny how 1.28 miles doesn’t seem like much until you have to run it. Still, there was plenty of time to think how a century ago, this route was used for building industry and fortunes. In between attempting to catch my breath as we dodged the rain, it was easy to realize that the ultimate fortune this bridge had built was a community place for all to enjoy. 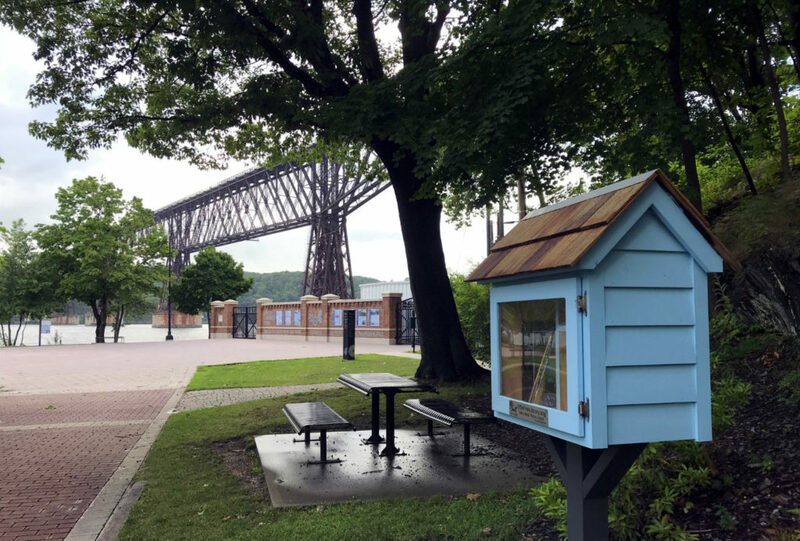 For more information on visiting the Walkway Over the Hudson checkout their website, their Facebook page for info and upcoming events, and their Instagram for fun photos! And, I’d like to recommend that you also grab an umbrella. Just in case!